The project TERNO (Teachers Education for Roma New Opportunities in School) is a project co-financed by the Lifelong Learning Programme of the European Commission (Key Activity 1: Roma Multilateral Projects) which aims to set up and implement special support centres in order to support the Roma children that attend the last classes of the elementary school to complete primary education and pass on to the secondary education. The general objective of the project is to prevent the early school leaving of the Roma children and support the Roma children to move from the elementary to the secondary education. The project aims to improve the participation/maintanance in school for children with low living standard by overpassing the lack of interest towards traditional learning methods. The specific objective with which the general objective will be achieved is through the training of the teachers (or teaching assistants) that are teaching Roma in order to support the Roma children to complete the elementary education. The main result that the TERNO project has developed are Centres for the provision of supplementary education for Roma children that are completing the elementary education and are preparing to pass to the secondary education. The organization of these centres was based on a methodology which has included all the important elements in order to help teachers of Roma children to better support children that attend the last classes of the school to complete elementary education and pass to the secondary education. The consortium of the project is multi-actor, it has a great experience in the field and it has complementary competencies. It is constituted from 6 partners from 5 countries (Greece, Spain, Italy, Hungary and Romania). 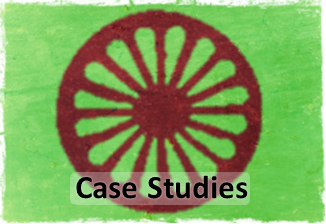 In the project they participate, 3 Roma Associations, one NGO led by Roma, a Research Institute which is specialized in the education research for the Roma people and an organization specialized in the development of research methodologies and management of LLP projects. In order to achieve this objective, the project developed a methodology for the training of the teachers in order to provide them with supplementary education that takes into account the Roma cultural background of these children. These teachers supervised the activities in the support centre and provided to the children all the necessary support, being educational, social or other. The centres also equipped with computers in order to provide access to the Roma children to the ICT based resources which are available to the children of the mainstream population. The teachers, together with the partners, organised information sessions in order to inform Roma parents on how to support their children complete primary and pass on to the secondary education. The main problem that the project aims to tackle is that, according to research data, 50% of the Roma children around Europe do not complete their primary education. 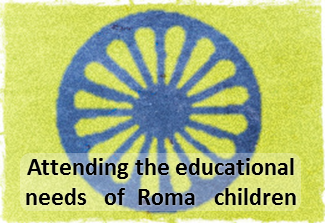 Some of the reasons that educational research has pointed out in order to explain this phenomenon are that Roma parents may often lack information and parenting skills to support their children’s language and social development, that the social environment in which the children live is characterized by an horizontal way of learning without the rigid school rules, that school education does not take into account the particularities of the Roma culture etc. The main conclusion of all this research is that there is a need for the provision of special support to the Roma children in order to help them succeed in their school. The theatrical play that was prepared by Roma Terno students and was presented to the Roma Terno event guests.